The following is a brief recap of the Tues., Oct. 17, 2017, BPS101 Regular Board Meeting. View BATV’s recording of the Oct. 17 meeting and previous meetings. View recap of Tues., Sept. 19 Board Meeting. Board Members celebrated three Batavia High School students—Ava Langstaff, senior; Andrew Scott, senior; and Hannah Thiel, junior—who were selected at the beginning of this school year by U.S. Representative Randy Hultgren to be part of his second class of 27 STEM Scholars from the 14th Congressional District. The three BHS students are also active members of the school’s robotics team, Roaring Robotics. 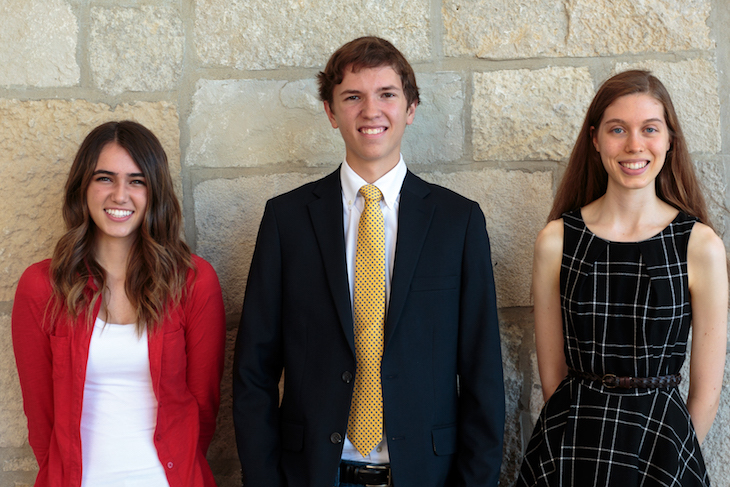 Ava, Andrew, and Hannah talked with Board Members about their experience with the STEM Scholars Program and Roaring Robotics as well as their post-graduation plans. Oct. 19, 5:30 – 6:30 p.m.
Dec. 12, 5:30 – 6:30 p.m.
Feb. 23, 2:30 – 3:30 p.m.
May 10, 5:30 – 6:30 p.m.
Chief Academic Officer Dr. Brad Newkirk presented the Board with counseling program highlights from the 2016-17 and 2017-18 school years. BPS101 Student Services Director Lisa Palese and RMS Assistant Director of Special Education Natalie Assell updated the Board on the progress of the Alternative Learning Opportunities Program (ALOP) titled, “Positive Achievements With Supports” (PAWS), at Rotolo Middle School. Approved by the Board in June 2017, the RMS PAWS program is based on the success of Batavia High School’s PAWS program, which launched in fall 2016 to support students at risk of academic failure. Targeted students are those who struggle to attend school and acquire credits. The RMS PAWS program is scheduled to begin supporting students in January 2018. According to Mrs. Assell, RMS already has 10 families who are eager for this opportunity for their child. Student Services staff members are currently identifying additional students who meet guidelines for participation.